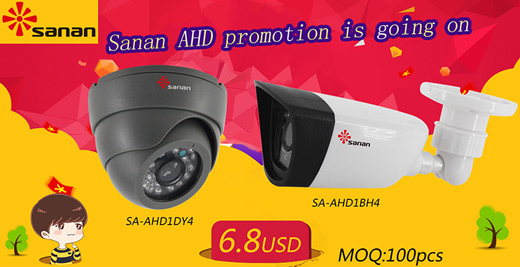 ShenZhen SANAN Technology Co., Ltd., as a high-tech enterprise, has been dedicating to the R&D of CCTV Camera, Digital Video Recorder and Closed-Circuit Security Monitor for over 10 years. Our factory covers an area of more than 2000㎡. There are 130 diligent workers in our factory with the production capacity of 60,000 units a month. In the pursuit of better development, our company has adopted advanced Korean technology and Japanese managment philosophy. Through our unremitting efforts of R&D, manufacturing and marketing, we have become a leading manufacturer and supplier of security equipments in China. 顶Russia Cup: up to 2% off everything ,you need for a great WORLD CUP!